the bookcase headboard gives you a place for storing reading material and also a place for a lamp ! 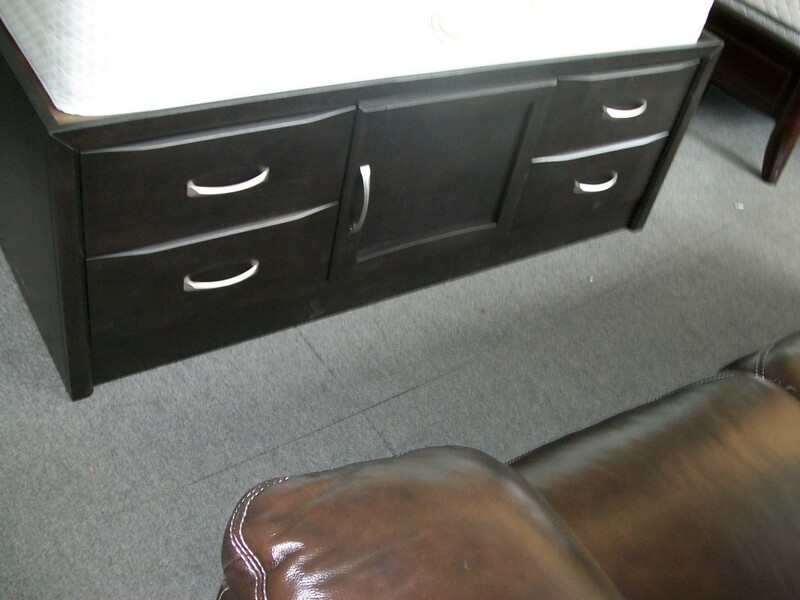 finnished in a rich espresso color we also have other matching furniture pieces available! 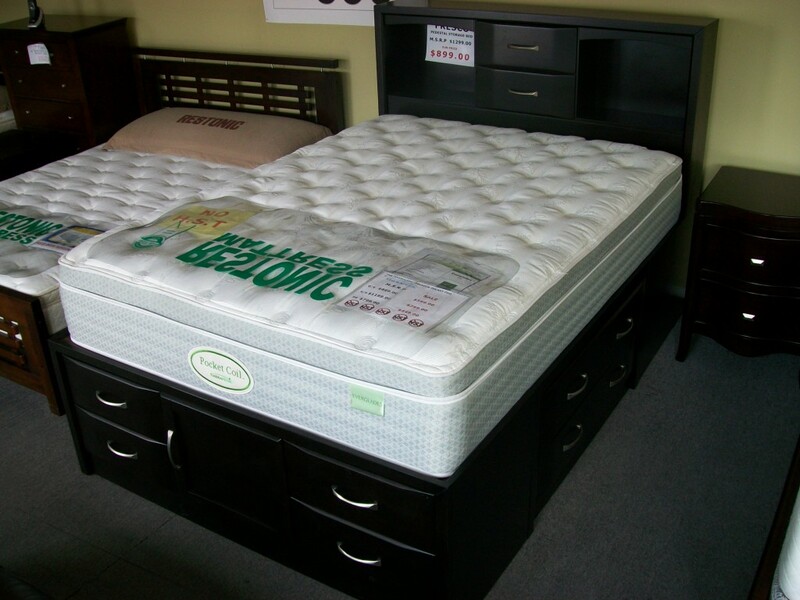 SPECIAL FOR QUEEN SIZE ONLY $999.00 WHEN YOU PURCHASE ANY QUEEN MATTRESS !! 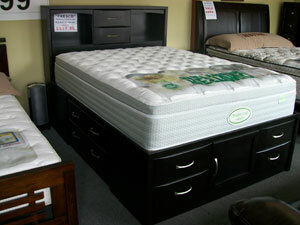 Check out this awesome bed in person at Real Deal Bedrooms and more at 3005 douglas st.